Ideal for the garden or patio this classic and traditional style is ageless and will look good in a country cottage garden or even on a roof garden. 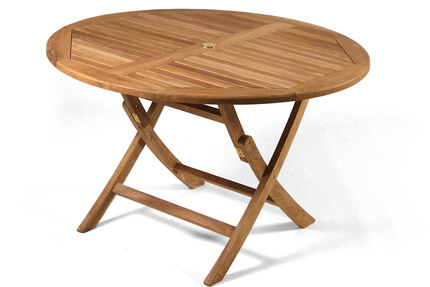 Grade A Teak 2-4 Seater folding table. Ideal for a small garden or patio. 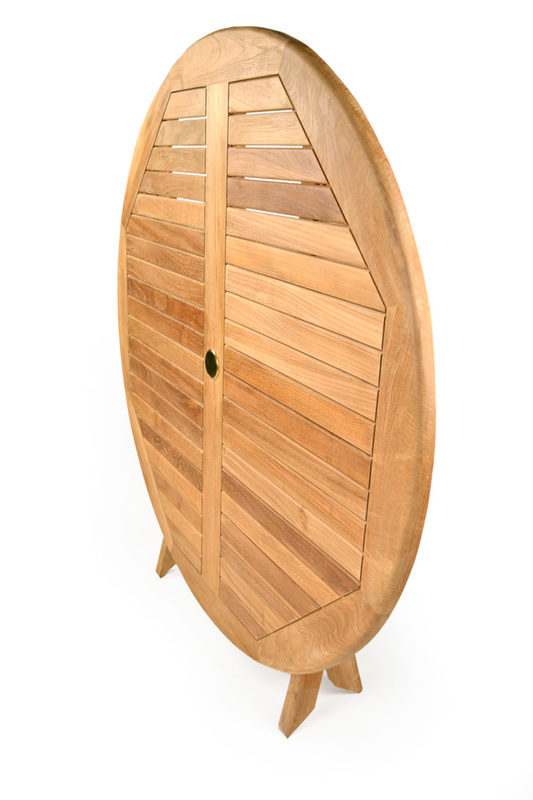 Super easy to store away as this garden table folds flat. Ideal for transport to the beach or that special picnic concert. 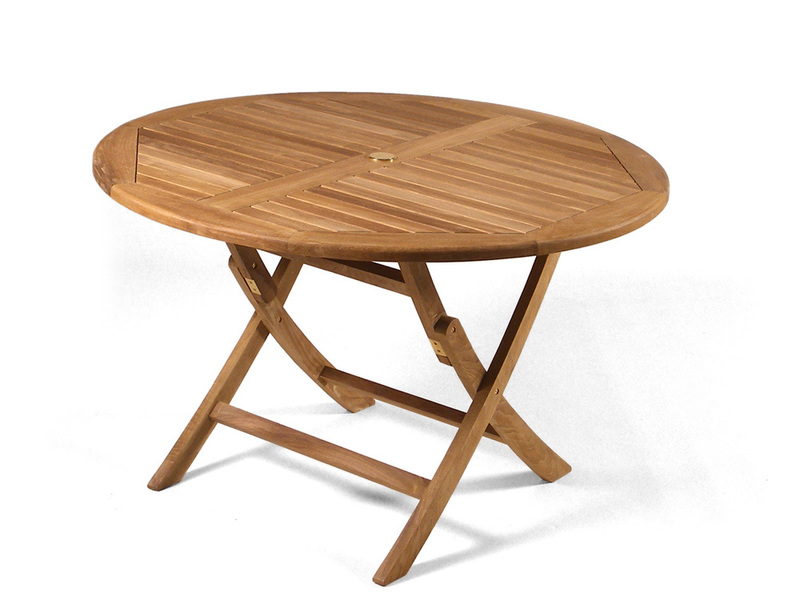 A great small sized table ideal for a summer’s evening. 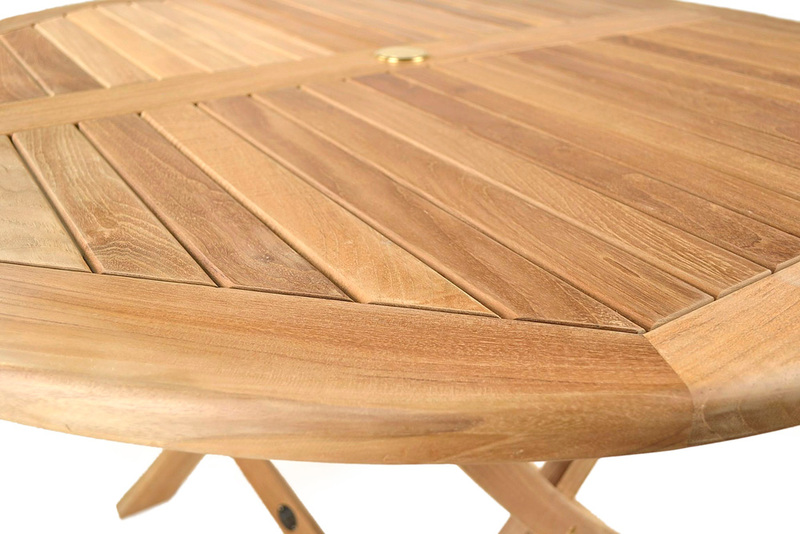 Wonderful crisscross design on the table show the quality grain used in construction surrounded by a deep band of teak. 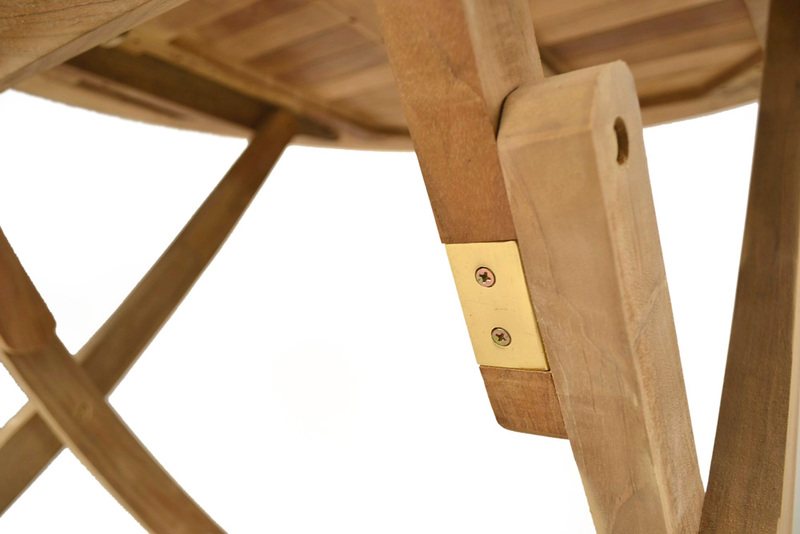 Brass Fittings for Parasol. Delivered assembled for instant use.